Millfields school in Hackney has been awarded Gold by Unicef UK’s Rights Respecting School programme. The school has been working with Unicef UK since . The school was awarded with the Gold certificate for the third time In July 2017. The lesson planning, teaching strategies, assessment and record keeping of the Spanish teacher are exemplary. Full support from the SLT and the governors ensures that language learning is embedded throughout the school. The high levels of engagement, enjoyment and progress of the pupils are evident from the lesson observations, pupil interviews and teacher tracking. Pupils are developing excellent accents and are able to talk about how they learn and how they know they are making progress. We were crowned champions at the final round of the 2016-17 season, held last friday 30th June at a busy Hackney Downs. The year 5 girls saw Ashleigh of Millfields finish first in both scratch and elimination races with Laila-Grace - Millfields 2nd in the scratch. In the year six boys scratch, Robin from year 6 was just pipped by Nikita from Parkwood. For more information, please see the YHPSCL blog run by Neil Irons, regional director. As part of national 'Road Safety' Week, all the children enthusiastically took part in a range of activities and workshops that really made them think about safety on the roads, from crossing the road sensibly using the Green Cross Code, cycling carefully, and using skateboards and scooters sensibly. And a s part of a competition, the children spent some time in class making bright clothes and accessories that can be seen in the dark, to wear as part of the ‘Be bright, Be Seen’ awareness day! The children also took part in special assemblies run by a member of Hackney council, who spoke about the importance of road safety and commended the work of our Junior Road Safety officers, Maggie and Brady. Thank you to everyone for a great effort in being colourful, bright and fluorescent today! Well done to all the pupils and staff who made a great effort! And congratulations, we are the winnners! The prize is to make our own road daety film. So using our class road safety champions and with suggestions from the Article 12 group, we will be maing a film in the near future. You will the completed short film on our 'Watch Us' page. Great news this week! Millfields won 2 of the Hackney Mayor’s Music Awards! A huge well done to Samantha Aboagye in Year 6 who was nominated by us for the ‘Pupil Award for Musical Achievement’. Samantha was overwhelmed to be announced as the winner and her family and friends were all delighted as they cheered her on at the Hackney Empire last night. Millfields also won the category: 'Instrument Fund for Ensemble Development'. This is fantastic result as it means that the school will receive £5000 to spend on new instruments for all the many children who are already learning to play an instrument and for more children to benefit, and to take part in the ever increasing ensemble groups that are taking place! Well done to Roz and Tom for putting the application together! I am pleased to confirm that Millfields, is one of only 14 primary schools in Hackney to achieve bronze level STARS accreditation from Transport for London. Congratulations to all the children and staff involved. The STARS scheme (Sustainable Travel Active Responsible Safe) recognises and monitors excellence in School Travel Plans with three award levels for schools that promote and achieve safer and more active travel. A special thanks to our Junior Road Safety Officers -Aamina Bala and Victor Gonsalves Gomes who worked hard all last year to make all our pupils more aware of road safety and sustainable travel. 'Millfields Community School were proud to accept The TFL's STARS Bronze award (Sustainable travel: Active Responsible and Safe). The award was given upon the reflection of all the wonderful events, clubs and learning we do. We began with 2 very successful JRSO’s (Junior Road Safety Officer) who informed both parents and children of road safety in multiple ways: they held assemblies; campaigned in front of the school; made information leaflets and much more! 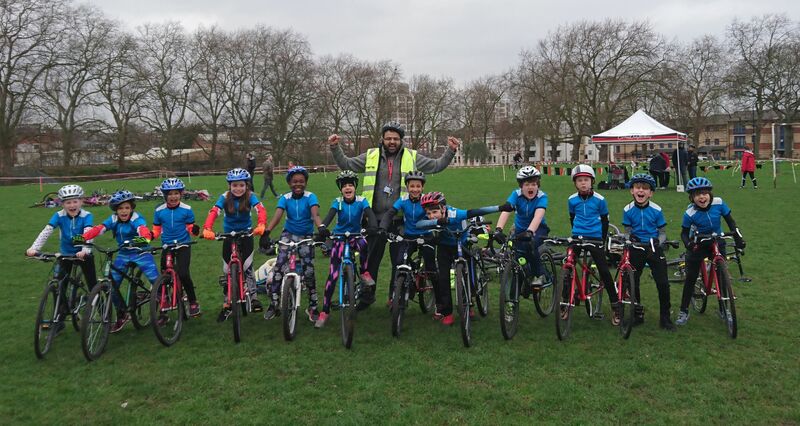 We have a large focus on cycling, running half termly clubs as well as beginners lessons and entering cycling races as part of the Hackney Cycling League. We also take part in 'Bike around the Borough'. Over the last two years we have held Bikers Breakfasts enabling parents and children to bring their bikes to school for a check up or quick fix! We have completed two years of the WOW scheme (walk once a week) where the children are encouraged through posters and prize badges to walk more often to school. Ashoka envisions an Everyone A Changemaker™ world: a world that responds quickly and effectively to social challenges, and where each individual has the freedom, confidence and societal support to address any social problem and drive change. What is the Ashoka Changemaker Schools Network? A global network launched by Ashoka to identify, connect and support innovative schools around the world that are empowering young people by equipping them with core skills such as empathy, teamwork, leadership and creative skills which will enable them to work successfully in rapidly changing environments. These Changemaker skills will enable children to bring about a lasting change not just in their lives but also in their communities, organizations, society and wherever they are most needed as adults. It was such a pleasure to spend the day of the panel with you last week! I am really pleased to officially WELCOME you to the Ashoka Changemaker Schools network! The panellists were so impressed with all the work you are doing and they were convinced you are a true Changemaker School and a great future partner of Ashoka. - Ashoka’s network could support a more innovative approach to playground fundraising. I will be in touch with more information about the network but also about the playground fundraising in the coming days. I hope you are having good final days of the summer term. I am really looking forward to working with Millfields Community School! The link below will tell you ore about Ashoka and the work that they and the schools are doing. For Creative Week 2015, Nursery and Reception worked with the artist Laura Quick to create a magnificent Sky Wall, based on images of light in space; an eye-catching and permanent art piece now on display on the middle hall wall. 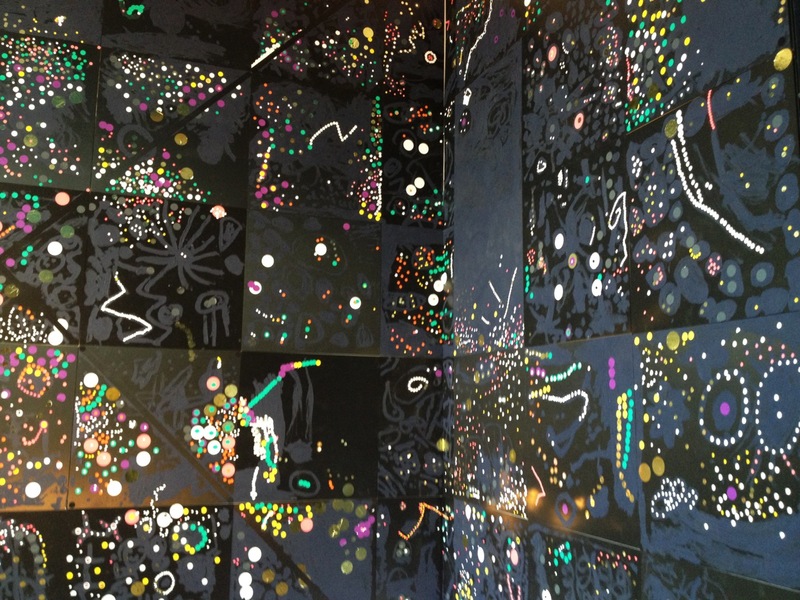 The Sky Wall was made by lots of eager children using a combination of sticky dots and paint on Foamex boards. The children co-operated with Laura to work as a creative team. Laura then arranged the boards onto the middle-hall wall by using special Velcro; this means that the final structure is interchangeable. Allowing for children to be able to change the wall themselves! Please have a look at the marvellous wall when you’re next in school! Excitingly, the sky wall was shortlisted for the 2015 Saatchi Gallery/ Deutsche Bank Art Prize for Schools - selected from 20,000 entries to be in the final 20! I am delighted that Millfields Community School will be a GLP Expert Centre from Spring 2015- congratulations! The Global Learning Programme (GLP) supports school development, best practice in teaching and learning and pupil achievement by enhancing curricular and cross-curricular global learning throughout the whole school. This partnership aims to support the school to take on the role of a Global Learning Expert Centre. Through this role, the school and the GLP aim to increase awareness of and engagement with global learning (GL) and development education (DE) within a local network of schools. The school will build a network of partner schools and work with the GLP to ensure the delivery of CPD sessions to increase the capacity of partner schools to engage with, and deliver, GL and DE. work with the Local Advisor to complete and submit the ‘Project planning form’ and ‘Project review form’. Millfields Community School in Hackney was the winner of the Primary School of the Year Award at the 2014 Shine a Light Awards. The school impressed judges with their in-depth provision map for prioritising children’s language and communication highlighting the multi-faceted range of speech and language interventions currently running in the school. Millfields Community School has a skilled intervention team who work with children on a universal, targeted and specialist level. The universal support ensures all children are targeted with consistent and rich communication environments across the school in a preventative manner. The school use visual timetables and Makaton across the whole school. Staff are regularly trained to equip them with the skills and knowledge to support children’s communication and maintain the range of interventions throughout the school year. Children who require one-to-one support are well supported with the Speech and Language Therapists working closely with the Inclusion Manager. There have been clear individual cases in which children’s speech and language has improved to the extent that they no longer require contact with the Speech and Language Therapist. This approach has had a wider impact than just at school, with parents approaching school staff and the Speech and Language Therapist to comment on how their child now talks about books. This has in turn encouraged parents to access local library resources - a fantastic achievement for a socially deprived area of East London. The school believes it to be crucial that communication support continues at home so that children can generalise and hone their speech, language and communication skills. With this view the school offers whole school awareness days, information giving coffee mornings and offers parents and carers regular contact with school staff. Millfields school won the Primary School of the Year Award in recognition of their innovative, sustainable and inspiring model of working ensuring that all children with communication needs are able to access quality, evidence-based interventions throughout the academic year. The level of staff enthusiasm in developing and maintaining their own ideas contributes to the uniqueness of their work and the remarkable positive impact achieved for each and every child. I am pleased to inform you that Millfields Primary School are the winners of the summer term 2014 Golden Shoe Trophy! The trophy is awarded each term to a school who have done especially well on the WOW scheme and succeeded in getting more pupils walking to school. Last term, you succeeded in getting up to 574 children walking to school at least once a week as part of the WOW scheme, which represents an impressive 91% of all pupils earning a badge each month - a great effort, especially considering the size of the school. Thanks for all your energy and enthusiasm in promoting active travel on the journey to school. Currently there are 27 Hackney schools taking part in WoW so the competition was strong. Congratulations again and keep up the excellent work!